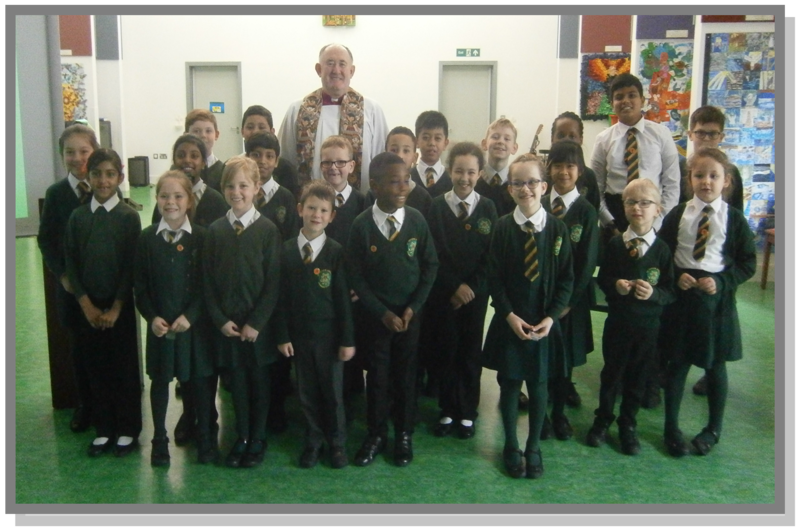 We are the School Chaplaincy Team. 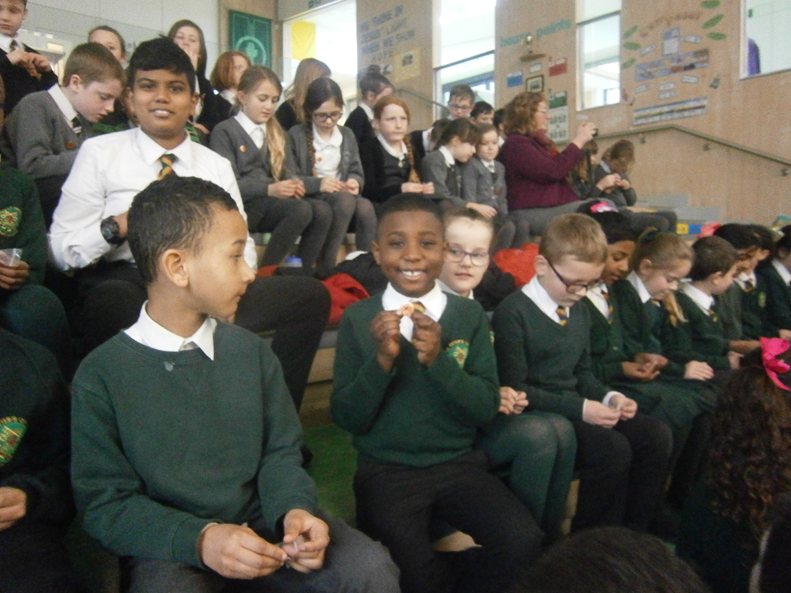 You can recognise us throughout the school as we wear a red fish pin, reminding us we are fishers of men just like Peter. 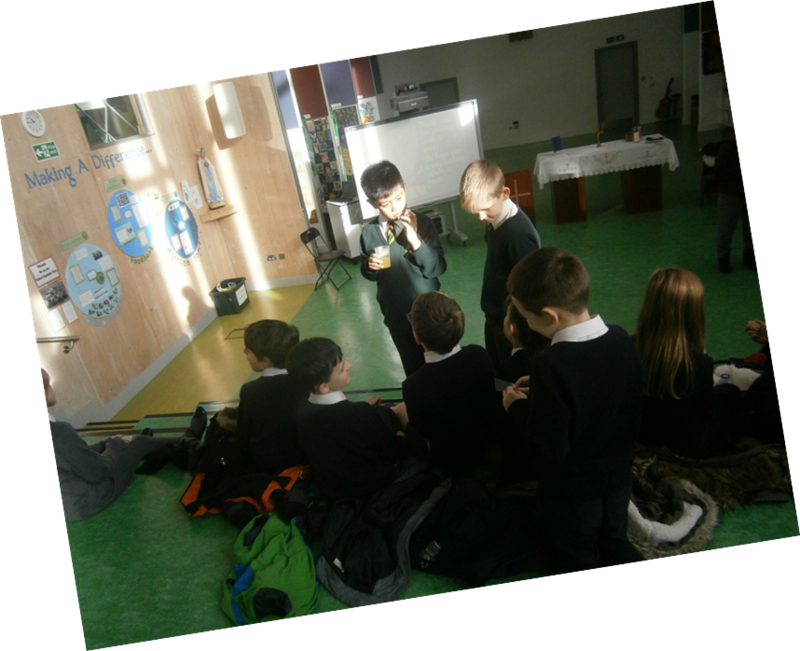 We meet regularly and help with improving the prayer life of our school. 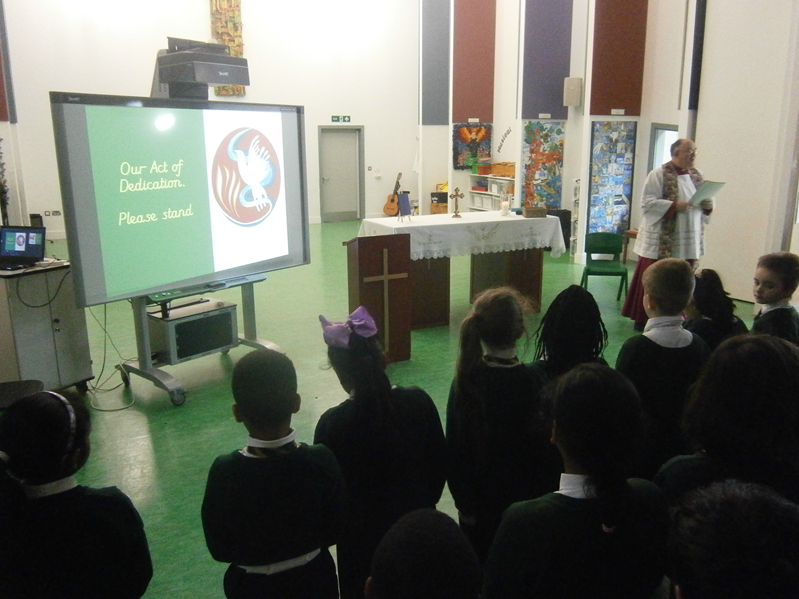 This year, we aim to organise our termly Hour of Prayer sessions more independently and encourage all in our school to use the inside and outside prayer spaces. 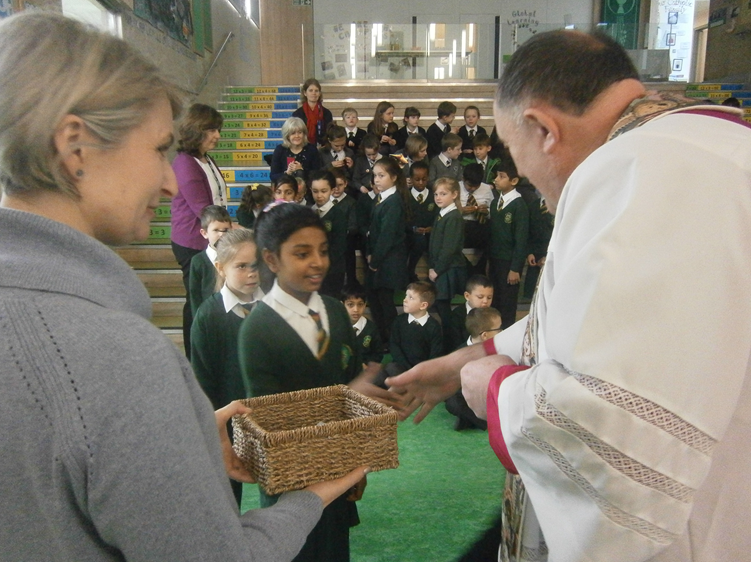 We also hope to visit and welcome other Pupil Chaplaincy Teams into our school to learn how they deepen the faith of the children in their schools and show them how we do this in our school. Alongside this, we will continue to support Mission Together and act as a voice for our classes with fundraising ideas. 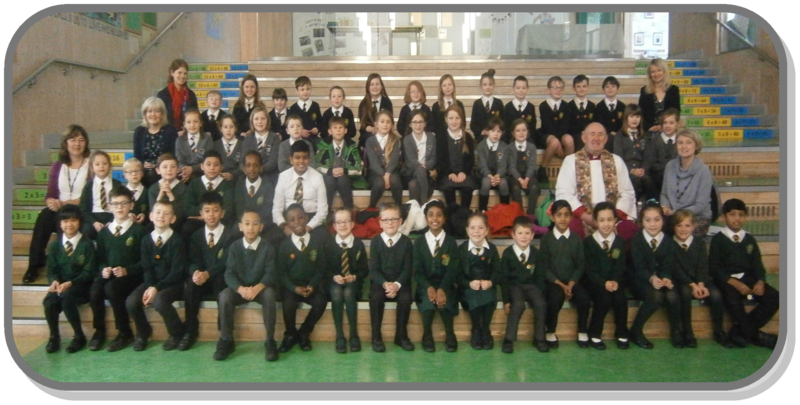 On 30th January 2018, we were commissioned into the Church by Monsignor Liam. 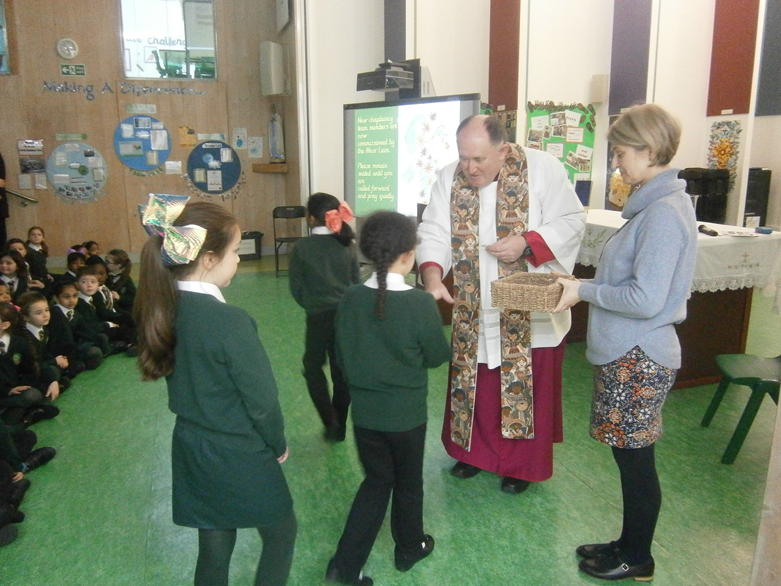 We were joined by the Chaplaincy Teams from St Dominic's and The Rosary School. 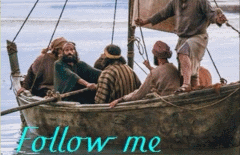 We read readings from the book of Jeremiah and sang songs about how we are called by our names to follow in the footsteps of Christ. Afterwards, we all chatted and celebrated with biscuits and squash. We all had a fabulous time and can't wait to meet up again.